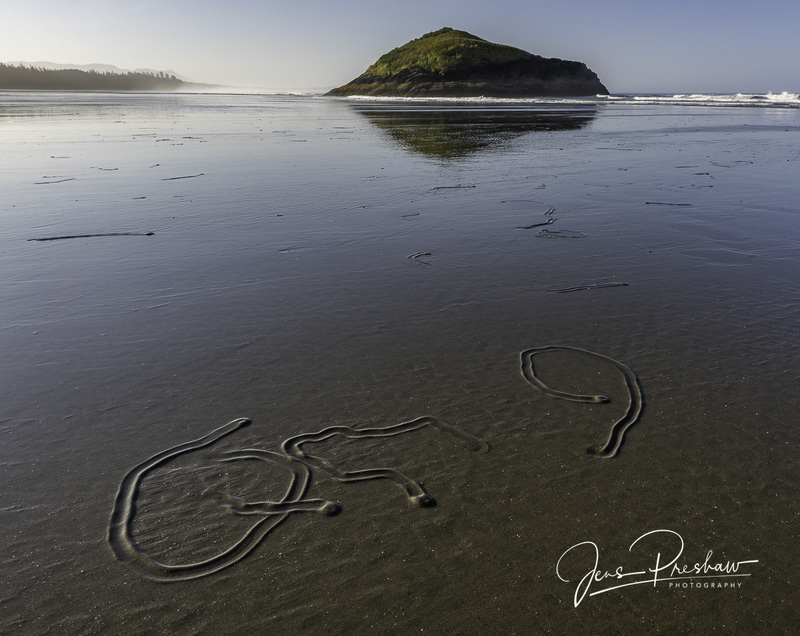 On the west coast of Vancouver Island I was walking on the beach early one morning, keeping an eye out for bears and wolves, when I noticed a large number of strange markings in the sand. There were thick lines, spirals, curves and even circles. The Purple Olive Snail (Olivella biplicata) are beautiful little creatures that create these markings. Close to the dynamic edge of the ocean they plow through the sand looking for animal and plant matter to eat. Males find females for mating by following their tracks. 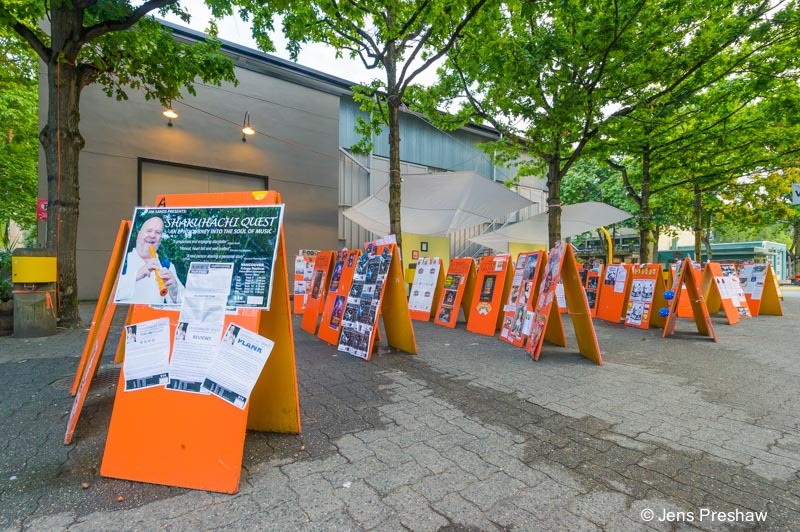 The Vancouver Fringe Festival has been taking place in September. I’ve seen some amazing one man shows and have been impressed with the talent of the actors. The Fringe has a wonderful policy of no latecomers. I recently spent a week camping and taking images in Jasper National Park. The weather was very hot and since we received a lot of rain in June there were plenty of mosquitoes. One morning as I was walking back to my campsite I came across this female elk in the picnic shelter. The cement floor made it very cool and by resting in here she was able to temporarily escape the heat. I never saw any of the campers using this shelter, probably because of the mosquitoes, but it was nice to see the elk putting it to good use. I can’t imagine how much time it took to design and setup this Rube Goldberg machine. A wide variety of photography equipment was used in it’s creation. I have read that many professional photographers never go anywhere without a camera. There have been a number of times when I remember thinking to myself ‘If only I had brought my camera’. One day, last summer, I was running some errands and I came across this scene on a city street. It brought a smile to my face and I was sure glad that I had a point-and-shoot camera with me. 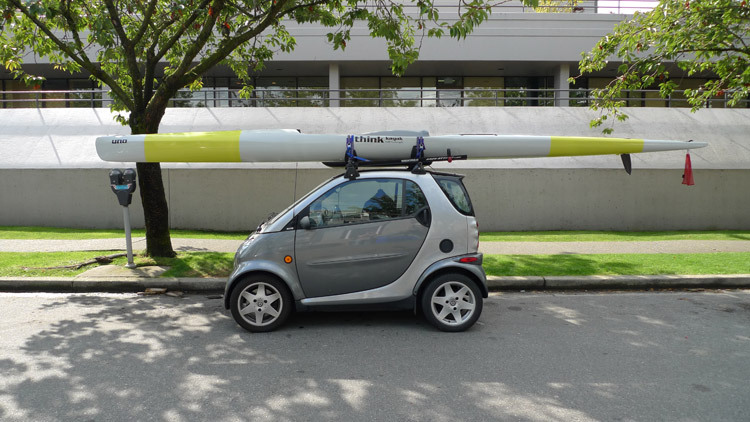 There is an amusing juxtaposition between the long kayak on top of the small Smart car. The kayak takes up most of the parking space.